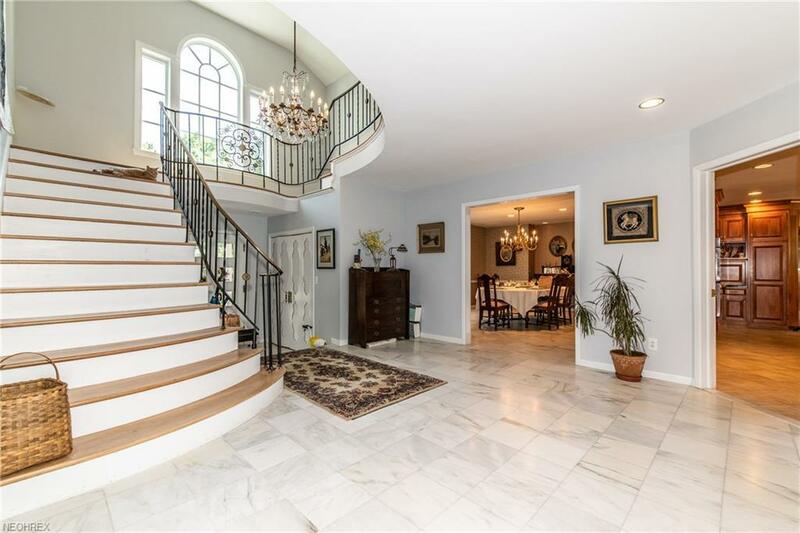 Classic and Elegant Center Hall Brick Colonial is situated on a half-acre charming lot and close to University Circle, Legacy Village, Beachwood mall, shopping and restaurants. 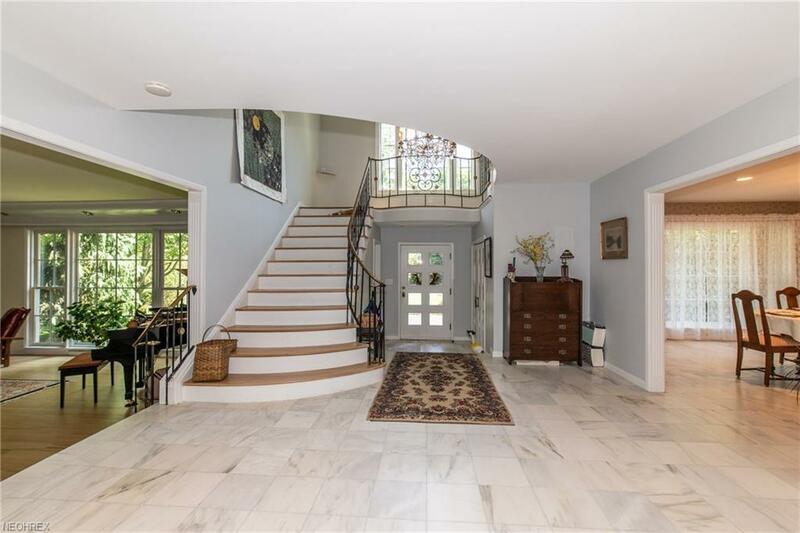 Sunny two-story marble entry welcomes you to this spacious home. Renovated large kitchen with custom Shrock cabinets (custom spice cabinet, vertical racks above oven, Pull-outs in all cabinets, large appliance "garage and baking area), granite countertops, Double Jenn Air convection ovens, Dacor gas 5-burner cooktop paired with Thermador high output hood, is a chefs dream. 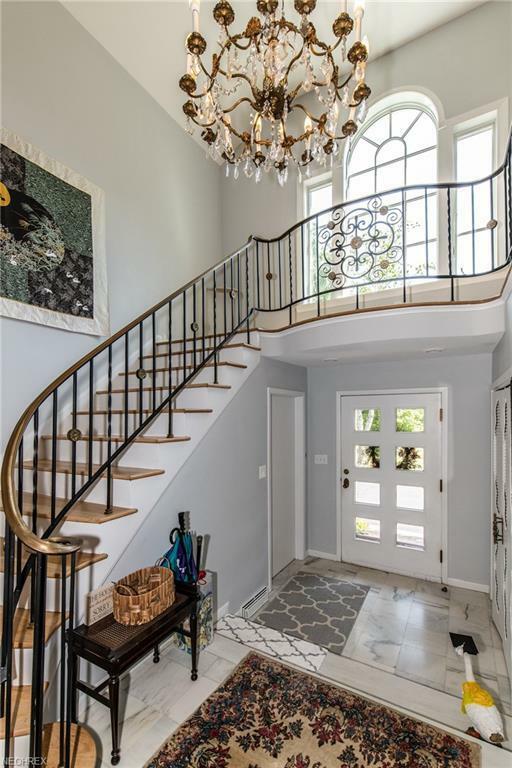 The home features 5 bedrooms, 4 full and 3 half baths, sunken living room, cozy family room with sliders to the sunroom and backyard, a large dining room - all with energy-efficient glass. Master bedroom has wall of windows, plenty of closet space, remodeled master bathroom and a separate half bath. Four large bedrooms upstairs with two having en-suite full baths and the other two are Jack-and-Jill. Sunny three-season room with wood burning stove leads to patio with built-in gas grill. Inviting backyard is ready for fun and entertainment. The large finished recreation room, play room and a bar area offer additional entertaining space in the dry basement. Spacious first-floor laundry. Geothermal heat system saves on gas and air conditioning bills. Undeveloped forest across the street adjacent to Beachwood City Park with running and biking trails. Biking trail to University circle area. One year home warranty is included.